-- Hotel San Jose is holding their last brunch cocktail hour of the year on Saturday, November 23, from 10am - 1 p.
-- Hops for HOPE Art and Beer Bazaar will be Sunday, November 24th at Vuka, 411 W. Monroe Street, 4 - 10 pm. Lots of beer vendors, food trucks, and artwork! 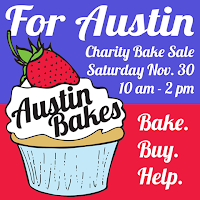 -- Austin Bakes will be back on Saturday, November 30th, this time donating all proceeds to Austin Disaster Relief Network, which is working with victims of the Halloween flooding. There will be 5 locations selling baked goods all around town. 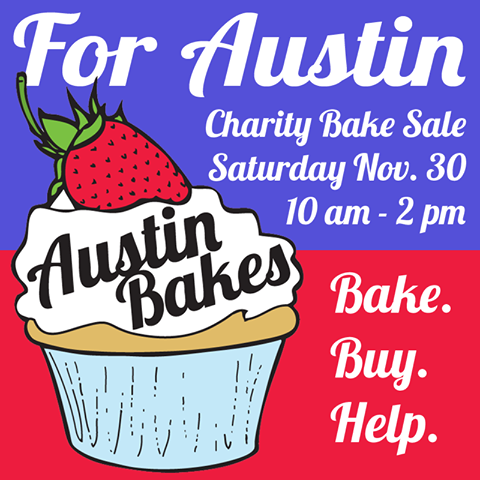 If you'd like to donate baked goods or help at one of the locations on Nov 30th, please see Austin Bakes website. Friends of mine are organizing this! Please lend a hand, bake some treats, or donate directly to our neighbors who are in need. -- In fun way to engage their customers, P. Terry's will be running a cookie challenge, December 2 - 9 at all locations. A local customer felt her oatmeal cookie recipe was better than P. Terry's, and they agreed to take on the challenge. The cookie (made with no artificial ingredients) will be available for $1, and if it receives local support and deemed better than their own, the burger chain will replace their own recipe. -- Support the National Day of Giving (#GivingTuesday), December 3rd, by making a donation to help send a culinary arts high school student to the Culinary Arts Career Conference (May 2014), sponsored by the Austin Food and Wine Alliance. 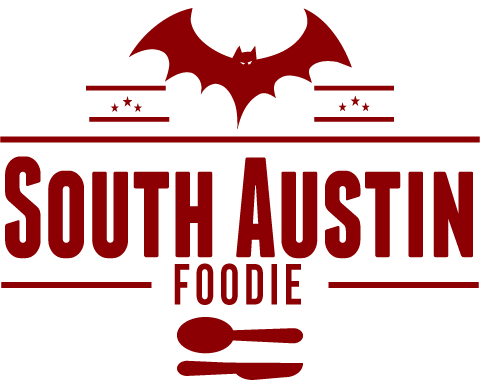 -- Edible Austin's Eat Drink Local week is December 7 - 14. 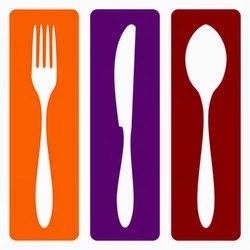 From their website: "Join us for our annual homage to local food. 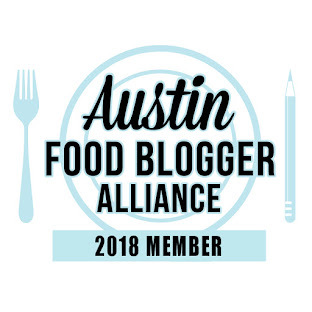 We urge you to dine out, cook in, and celebrate the ingredients, landscape and people behind our plates through our events, restaurant meals and plenty of cooking and drinking at home." -- The Austin Cookie Takedown will be December 15th from 2 - 4pm at Shangri La. Got a favorite cookie recipe? Make a huge batch and enter them in this contest for your chance at cool prizes. -- Barley Swine announced a change to their operations. They are now accepting reservations, and have moved to a multi-course,$60 prix fixe menu, with optional wine or beer pairings. As the seasons and available ingredients change, so will the number of courses and the price. Any place that takes reservations is a plus-mark in my book. Barley Swine's sister restaurant Odd Duck (1201 S. Lamar) is slated to open late November-ish. -- JuiceLand is opening a new location at 2601 E. Cesar Chavez on December 1st. -- Gourdough's Public House has a special November donut -- the Gobbler, a donut with turkey, dressing, mashed potatoes, and cranberry habanero jam. After eating that, a nap will certainly be in order. -- New chef team at Josephine House: Chef Rebecca Meeker, Pastry Chef Alexandra Manley, and forager Libby Goldberg. -- Bess Bistro has new cocktails and dishes on the menu, including fried green tomatoes and Lockhart quail. Happy hour M - F, 4:30 - 7pm with nightly specials. Their sister establishment, Walton's Fancy and Staple, is also offering an array of holiday sweets and treats, such as bourbon vanilla + brown sugar apple pie. -- Arro is also now doing happy hour, M - F, 5 - 7pm. -- As previously announced, Chef Shawn Cirkiel will be taking over the old TGI Friday's in the Radisson Hotel at Cesar Chavez and Congress Avenue. The new spot, featuring contemporary southwestern cuisine, will be called Chavez, and will be designed by Michael Hsu Architecture and FODA Studio. -- Black's BBQ announced they will open next year at the old Vinny's/Peso + Buck's location on Barton Springs Road, across from Palmer Auditorium. -- LA Barbeque announced they are moving to the east side, as their current trailer spot on S. 1st will become a parking lot. Look for them at E. 6th and Waller after December 4th. -- Jack Gilmore of Jack Allen's Kitchen will be working with Mobile Loaves and Fishes to provide a Thanksgiving meal to Austin's homeless. First Baptist Church, 901 Trinity, Monday, November 25th from 5:30 - 7:30 pm. Now THAT is the spirit of Thanksgiving! -- Bikinis Sports Bar and Grill will be working with Operation Turkey to feed the homeless on Thanksgiving Day. -- The Carillon, at the AT+T Conference Center on the UT campus will be serving Thanksgiving meals from 11am - 3:30 pm, $65/person.